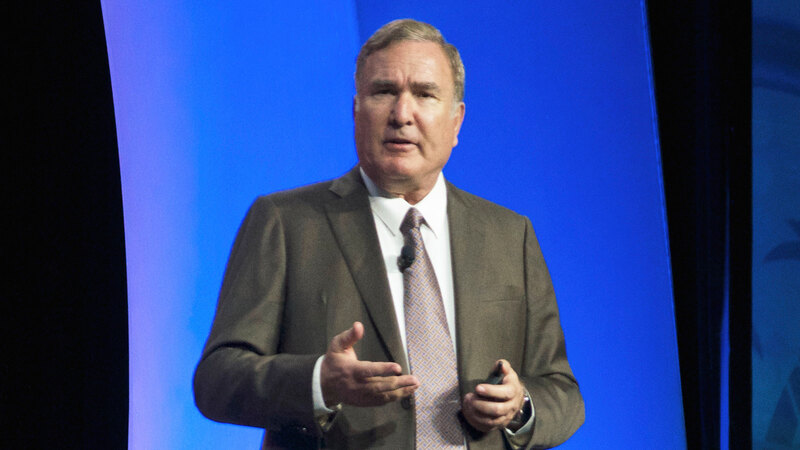 HOLLYWOOD, Fla. — Whenever Royal Caribbean Cruises Ltd. starts a new project, CEO Richard Fain said the company likes to start with history. Celebrity Cruises is currently working on Project Edge, which will bring a new class of ships in the fall of 2018, and the line has been considering milestones in cruise ship design leading up to that project — the key innovations in cruising that have changed the way ships are built. Fain shared some of those milestones with travel agents at Vacation.com’s annual conference at the Diplomat Resort and Spa this week. “The pace of change has been growing very quickly,” Fain said. “It was designed for transportation,” Fain said, and everything about the Compagnie Generale Transatlantique ship (like its long, sleek design) was aimed at transportation. Fain jumped next to 1970 and the “transformational change” that Royal Caribbean International’s Song of Norway brought to the industry. “This was a ship that was really built for cruising,” he said. Decks were open and cabins were designed differently than those on the France — instead of keeping the passengers in them while being transported, Song of Norway’s cabins were designed to get passengers out of their cabins and into public spaces. “A fundamental shift was taking place,” Fain said, in what the purpose of the vessel was. Then, in 1975, another influencer came into play, this time in the form of a television show: “The Love Boat.” Fain said cruising was shifting in how it presented itself to the world, becoming open to mass markets. Then Carnival Cruise Lines came out with Kathy Lee Gifford’s “Fun Ship” commercials in the 1980s. Cruising was no longer something limited to an older, wealthier clientele. It was becoming something for everyone. https://www.youtube-nocookie.com/embed/xS5rUgRAzDc?rel=0 Princess Cruises’ Royal Princess in 1984 brought the concept of more outside cabins and more balconies. The Sovereign of the Seas, “a dramatic new vessel,” arrived in 1988. The Royal Caribbean ship introduced an atrium and more activity choices onboard, and was the largest ship in the world when it was built. In 1999, Royal Caribbean again introduced a ship that was the largest built at the time: Voyager of the Seas. It had an ice-skating rink and rock-climbing walls, a promenade and a plethora of other activities. “You wanted things that helped convey that this [cruising] was an unusual activity, that you could do what you wanted,” Fain said. He said Voyager of the Seas was instrumental in continuing to shift the idea that cruising was for everyone. Fain considered the Celebrity Solstice, which started sailing in 2008, as the next innovative vessel because it brought a level of elegance to a large ship. And the next year, 2009, Royal Caribbean’s Oasis of the Seas arrived, offering even more choices to cruisers. The model in the days of the Song of Norway was dinner, show, bed, Fain said. But with Oasis of the Seas, “that evolved to the point where you have 28 places to eat on board this ship,” he said. It offered specialty dining rooms and suites that appeal to a different crowd, and activities like the FlowRider surf machine for yet another. The Disney Dream started sailing for Disney Cruise Line in 2011 with a focus on the outdoor decks, and making children the center of many offerings. It introduced all kinds of activities, like waterslides, that many would go on to follow, according to Fain. 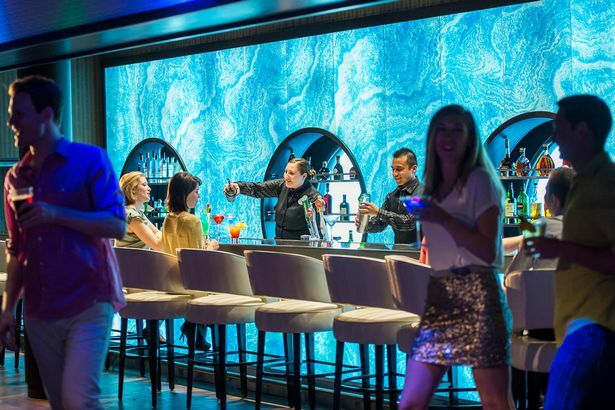 Three years later, Royal Caribbean’s Quantum of the Seas added more unexpected amenities to a cruise ship: a gondola-like ball that raises passengers in the air for a bird’s-eye view, a skydiving simulator and the Bionic Bar with its robotic bartenders. Fain said he believes Celebrity’s Edge-class ships will bring the next milestone to cruising, but was tight-lipped on the details. Fain’s history lesson was well-received by agents, who largely agreed with his sentiments of game-changers in the industry. Sandra Cleary is the CEO of CruCon Cruise Outlet Plus in New Hampshire. She started her cruise-only agency 20 years ago, and in her mind, the Voyager of the Seas was one of the biggest milestones in the cruise world. “We want the ship with the rock-climbing wall,” was a frequent call she got in the late 1990s. Customers didn’t even know the ship’s name, but were attracted by the many activities it offered, she said. She also pointed to the Allure of the Seas and Oasis of the Seas as game-changers. Comfort says Sovereign of the Seas was the greatest game-changer. “The design was unthinkable — undoable,” he said. Most predicted it wouldn’t work, Comfort said, but it did, and the “unthinkable” ship went on to change the industry. It’s here! 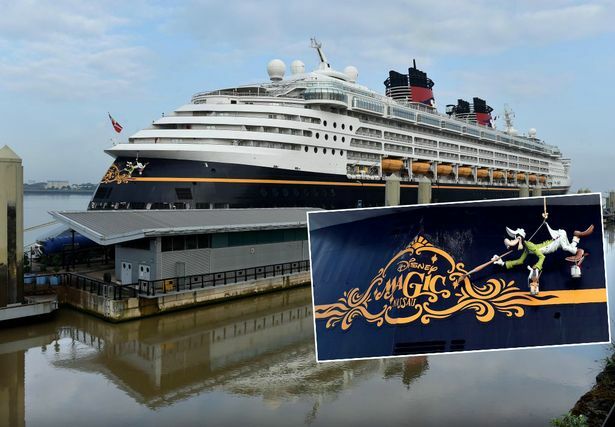 The spectacular Disney Magic cruise ship has arrived in Liverpool. The visit is the luxury liner’s maiden voyage to the city – and it has brought some of Disney’s best known names with it. The stunning vessel entered the Mersey this morning carrying 2,700 guests and an incredible 950 cast and crew members. 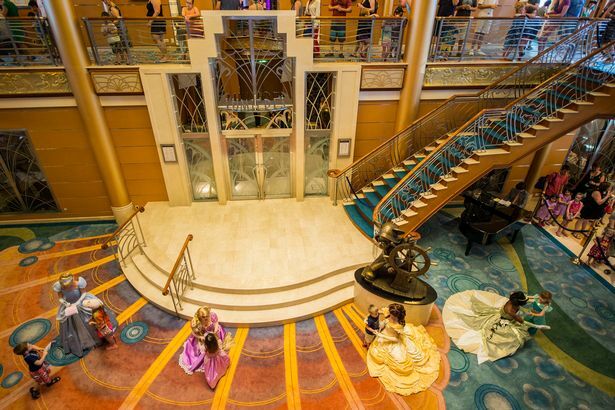 Packed with Disney characters – from princesses to super heroes – the cruise ship showcases the famous film-maker’s magical history. Guests on board can enjoy Disney inspired dining, theatre, leisure and entertainment designed for children of all ages (and their big kid parents!). Weighing 84,000 tonnes it boasts 10 different restaurants, five pools and two nightclubs. You can even meet Disney royalty on board- from introducing yourself to Cinderella and Sleeping Beauty to playing in a giant recreation of Toy Story Andy’s bedroom. Today’s visit to Liverpool is one of only a handful of UK stops being made by the 12 night transatlantic cruise, which started in Florida. And while Merseyside’s biggest Disney fans may not be able to taste the experience today fear not – it returns next month. And on when it does, on June 12, a host of events will celebrate its arrival. There will be an outdoor cinema that will show Frozen, Finding Nemo, Toy Story and Mary Poppins in full. A bandstand in front of the Cunard Building will play host to live music, with the Royal Marines Bands playing a Disney medley and performances from opera singer Danielle Thomas and Liverpool’s Ukulele Orchestra. Youngsters will also be battling it out to be named Liverpool’s Young Town Crier. A ‘magic garden’ event will run at Pier Head, themed with potting sheds, toadstools, giant flowers and fairy houses. And, at around 10.15pm, a firework display will signal the moment the vessel leaves for Dublin. Royal Caribbean International faces accusations from passengers that construction work was still taking place on board the world’s largest cruise ship during its first sailing. Harmony of the Seas left Southampton for Rotterdam on a four-night cruise on Sunday, but the first paying passengers complained about closed attractions and ongoing work, the BBC reported. One was reported as describing the vessel as a “construction site and a serious risk to all passengers”. Passenger Georgina Davie described “queues of complaining guests and distressed families”. “Ninety percent of the kids attractions that it was marketed for have been shut for the whole cruise and are still being worked on,” she said. She also claimed drilling went on near cabins through the night. 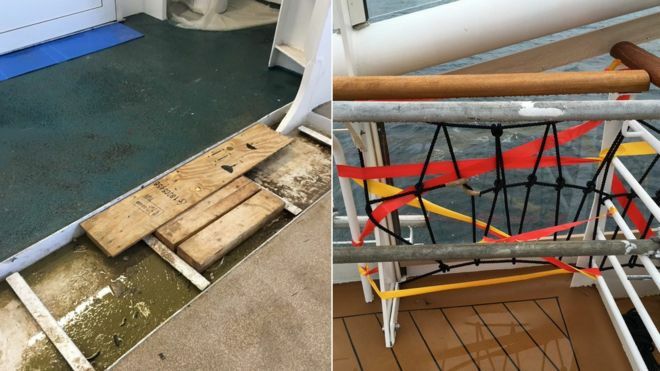 Royal Caribbean admitted “final finishing touches” were being made after pictures of work being carried out during the sailing were posted on social media. A spokeswoman told Travel Weekly: “We are excited to welcome our first guests onboard Harmony of the Seas for her pre-inaugural sailings this week, ahead of her official maiden voyage on Sunday, 29th May. “Whilst the ship is cleared for operations and many of its features are already being enjoyed by thousands of guests, as with any new build, we are still finalising some finishing touches, and thank guests for their patience as we complete these. “As always, Royal Caribbean’s highest priority is to ensure the safety of all its guests and crew members and any final maintenance is being carried out in accordance with strict safety guidelines. Harmony of the Seas left Southampton again for a three-night cruise to Cherbourg yesterday, before finally departing for its summer base of Barcelona on Sunday. The ship can carry 6,780 passengers. It has 20 restaurants, 23 swimming pools and took more than two-and-a-half years to construct.